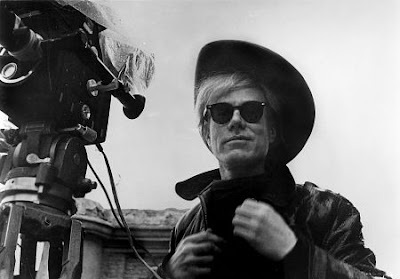 On David Wojnarowicz, Warhol Foundation Strikes Back!!! The Warhol Foundation is proud to have been a lead supporter of Hide/Seek: Difference and Desire in American Portraiture, but we strongly condemn the decision to remove David Wojnarowicz’s video A Fire in My Belly from the exhibition. Such blatant censorship is unconscionable. It is inimical to everything the Smithsonian Institution should stand for, and everything the Andy Warhol Foundation does stand for. Although we have enjoyed our growing relationship during the past three years, and have given more than $375,000 to fund several exhibitions at various Smithsonian institutions, we cannot stand by and watch the Smithsonian bow to the demands of bigots who have attacked the exhibition out of ignorance, hatred and fear. Last week the Foundation published a statement on its website www.warholfoundation.org, condemning the National Portrait Gallery’s removal of the work and on Friday our Board of Directors met to discuss the long-term implications of the Museum’s behavior on the Foundation’s relationship with the Smithsonian Institution. After careful consideration, the Board voted unanimously to demand that you restore the censored work immediately, or the Warhol Foundation will cease funding future exhibitions at all Smithsonian institutions. I regret that you have put us in this position, but there is no other course we can take. For the arts to flourish the arts must be free, and the decision to censor this important work is in stark opposition to our mission to defend freedom of expression wherever and whenever it is under attack.